And starting in fall 2013, Still Water Senior Researcher John Bell will be teaching the new “Digital Collections and Exhibitions” course (DIG 540) to fill an important gap in the skillset of anyone who manages digital data. A Web site is a critical part of publicizing your collection, but generic software usually can’t show your materials in the best way possible. 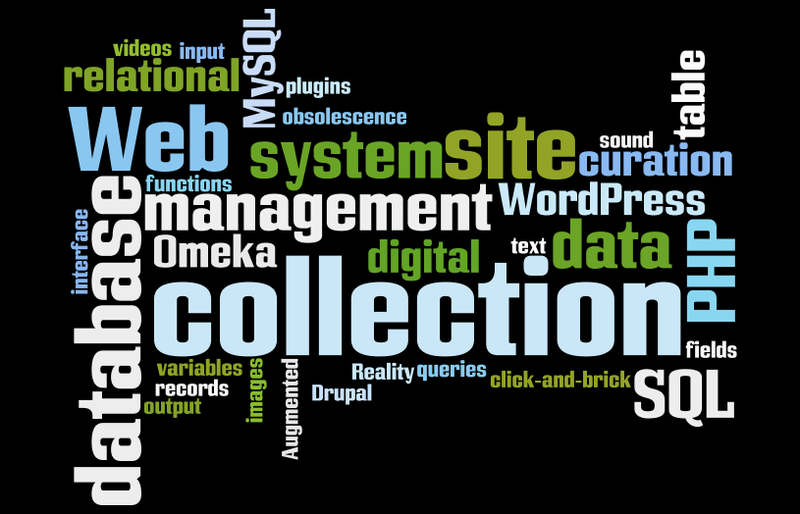 If you want to make the site match your collection you’ll have to tweak off-the-shelf Web sites, most of which run on MySQL and PHP. Learning just a tiny bit about those two languages can let you set your site apart from everybody else who is using the same software without having to buy a full custom site. A recent study from the University of North Texas found that technical experience with the kinds of Web development skills John teaches was the most common criterion listed in job postings in digital curation. DIG 540 is a great chance to learn these from an adept teacher who has been the lead developer on numerous high-profile Web sites. Also taught this fall will be the “Introduction to Digital Curation” (DIG 500) class, taught by Special Collections Librarian Richard Hollinger, art historian Justin Wolff, and former Guggenheim curator Jon Ippolito. You can register for individual courses or the entire 18-credit certificate by following the instructions on the official Digital Curation Web site.